Sushil Finance is a full service broker based out of Mumbai. 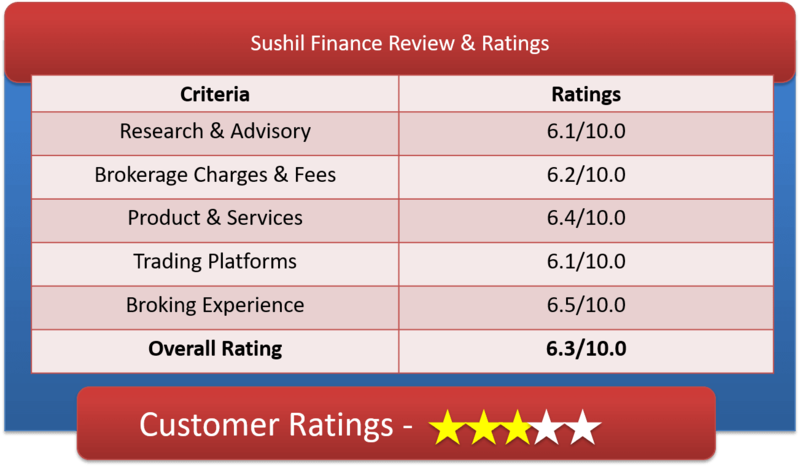 Lets have a detailed Sushil Finance Review & understanding of Sushil Finance Demat Account, Sushil Finance Brokerage Charges, Sushil Finance Trading Platforms & other important features. Sushil Financial Services Pvt Ltd. is engaged in brokerage house business. Sushil Financial Services Private Limited provides trading facility in Equity, Currency and DP service. The company is part of Sushil Finance group of companies. SFS Private Limited are having other firms like Sushil Global Commodities Pvt Ltd. engaged in commodity trading, Sushil Finance Consultants Ltd providing distribution of IPOs and Mutual Fund products. Sushil Financial Services Private Limited also have Sushil Capital Pvt Ltd. which is an RBI registered company, providing the NBFC facility as loan against shares. Sushil Insurance Brokers Pvt Ltd. is providing life and non-life insurance, retirement planning, saving plans, child plans and many more such financial products. The Broking house deals in equity and currency derivatives market through both BSE and NSE. They have their own DP service registered under NSDL and CDSL. Sushil Financial Services Private Limited is not just providing you trading facility. They also serve as distributor of IPOs, Mutual Fund products, financial planner, investment planning, wealth management, research service, NRI/FPI services, Fixed Income products and NBFC. The Full Service Broker has PAN India presence with over 575+ branches. They have channel partners in about 225 cities. On customer service front, The Broking house has a dedicated team of service providers. The broker is known for its extensive research providing access to all reports online to make it transparent. They have subscription of research report as well as SMS service to get swift updates. Other than above features, Sushil Financial Services Private Limited have their online knowledge center, blogs, customer service number and email support. The broker claims to have competitive brokerage rates. The Broker serves their clients on one to one basis. They want to serve each customer as different as per their financial needs and their brokerage are negotiable. Calling or personally visiting them may help here. 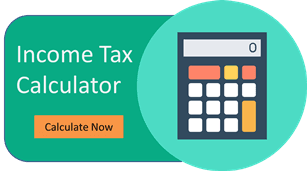 Why Open Sushil Finance Demat Account? All investment options – Equities, F & O, Currencies, Commodity, IPO, Mutual Funds, ETFs, General Insurance. Sushil Financial Services Private Limited is providing multiple trading terminals to its clients. Depending on the comfort, user can choose specific trading terminals. Power Trade is a desktop trading software for dynamic traders who transact regularly through online trading account. Technical tools such as PIVOT watch, Real time heat map, multiple indicators. This is a power-packed online trading platform. And also, provides you with researched calls, live streaming quotes/Sensex and integrated fund transfer system along with multiple watch-list on same screen. Single screen interface for segments like Cash/Derivatives/Commodities. Live streaming quotes, pre-loaded Market watch. Display of real-time market details. BTST product, After Market Orders (AMO), all reports view. Online fund transfer facility from around 35+ banks. Trade on the go by using Savashare mobile application. Get lightning speed trading experience, single sign in for trading in cash/ Derivatives/ Commodities/ Currency. This application gives you valuable market insights, secured and real time quotes and ability to execute orders from wherever you go. You can track your portfolio, get stock quotes, create multiple personalized market watch and much more. Savashare App is optimized for Android, Blackberry and iOS. The company has emerged as one of India’s foremost equity research and broking houses with its offering of full access to all the asset class and in-depth research.